Now that you’ve set your mind on the all-new BMW 8 Series, it’s time to turn your attention to the new Montblanc Luggage set. At S$23,000, it not only matches the fancy leather in the car to a tee, but are also perfectly tailored to fit inside the boot of the sleek coupé. 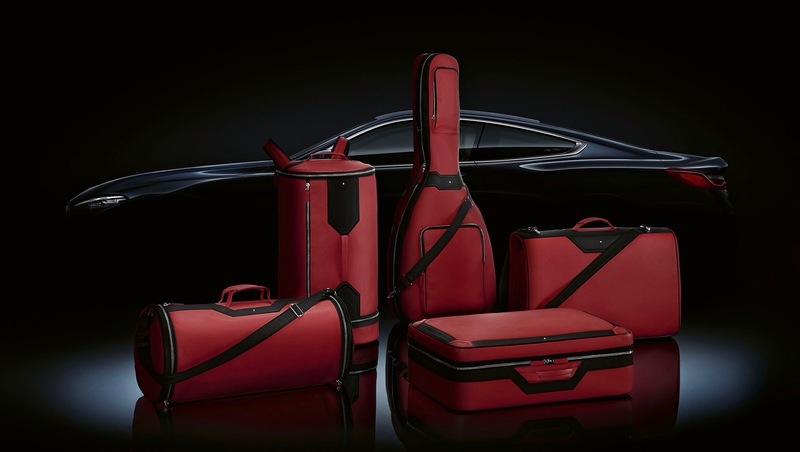 Launched specifically for the premium ride, the Montblanc x BMW Luggage Set is a five-piece collection with only 15 sets being made. Each carrier is handcrafted in Florence, Italy, using sporty perforated red or black leather, before being finished with black darts. Practicality is at the top of Montblanc’s list here, so the bags are easily transformable with plenty of thoughtful compartments. Why a guitar bag is one of five of the collection is quite a mystery, but it features a detachable shoulder strap so it can be worn as a backpack or to the side, with two pockets outside for accessories and music notes. The duffel bag is one of five bags that are easily transformable. The duffel — also transformable between a backpack or sling bag — comes in a classic conical shape with two separate compartments for shoes and miscellaneous accessories, while the suit bag sees a double-folding design that ensures you look sharp with a freshly pressed ensemble at your destination. Lastly, the leather case presents three generous zip compartment and two large sections for accessories besides the main compartment. At almost S$23,000, the Montblanc x BMW 8 Series luggage set costs more than a well-respected hatchback in the States. But when you’re already paying S$$588,888 for a coupé, might as well go ahead and put this on the receipt too.